A CHINESE general gave a preview way back in 2013 of how their People’s Liberation Army deploys a swarm of vessels around disputed islands in the South China Sea in what he called a “cabbage strategy” to take full control. We were then surprised that the Chinese swarming of Pagasa island off Palawan was initially dismissed by President Duterte’s spokesman as if it were something as innocent as cruising around the block to look for a parking slot. We dug up old Postscripts on that cabbage strategy. 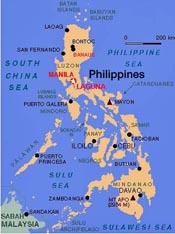 It was probably by force of habit of defending China that the President’s spokesman minimized the swarming – confirmed by the military and independent observers — by hundreds of militia boats around Pagasa, the main island in the cluster of isles comprising the town of Kalayaan in Palawan. It was a good thing President Duterte, in a departure from his known pro-China bias — stepped in and warned Beijing to lay off Pagasa where there is a thriving Filipino community and a functioning municipal government. Foreign Secretary Teddy Locsin Jr. followed with a protest to China and stated on Twitter that the swarming by Chinese boats was illegal and a violation of Philippine sovereignty. It is sad that while Chinese are being told by their government that they are recovering territory that neighbors had illegally occupied, the Manila government is not educating Filipinos enough on the historical and legal basis of cherishing and protecting their sovereign territory. It is mostly the private sector – such as the experts, academe and media — that keeps explaining to the people the sanctity of the national territory and the reasons why it should be defended against interlopers and aggressors. Worse, there is a perception that, in conflicts, some Philippine leaders often side with the Chinese instead of their own countrymen. This has given rise to the question of whether these officials have been compromised in their dealings with their Chinese counterparts. Postscript, June 4, 2013 — Listening to a Chinese general disclose their strategy in taking over Panatag (Scarborough) shoal off Zambales as well as other isles and fishing grounds, one would think Beijing is deliberately shaming Filipinos and their leaders. After President Noynoy Aquino declared that Filipinos would defend “what is ours” to the last fighting man, China responded by sending a swarm of fishing boats escorted by warships. In a television interview, Maj. Gen. Zhang Zhaozhong of China said that their navy has been wrapping Panatag like a “cabbage” with their warships, thus keeping away Filipino naval ships and fishing boats. Panatag is 120 nautical miles off Zambales, well within the Philippines’ 200-nm Exclusive Economic Zone just like Recto and Ayungin reefs that China had taken over while Filipinos watched helplessly. Zhang talked of how they have been employing the “cabbage” strategy to secure Panatag by constant surveillance and the posting of administrative fishing vessels and warships there. Zhang: “We have done some things relatively successfully. Since the 1990s, the Philippines has done illegal and irrational things in its attempt to turn Huangyan (Scarborough/Panatag) island into its territory by means of presidential order, domestic legislation, and so on. ANOTHER Postscript, May 31, 2016 — President Noynoy Aquino, clearing himself of liability for surrendering Panatag shoal, accused Beijing of reneging on an agreement for Chinese and Filipino vessels to simultaneously leave the area in 2012. The agreement for withdrawal was brokered by the United States to ease the tension and enable the Asian neighbors to save face, the President told newsmen covering his inauguration of the Balog-balog dam-irrigation project in San Jose, Tarlac. The Panatag standoff with China began on April 8, 2012, when the PN flagship BRP Gregorio del Pilar caught eight Chinese fishing vessels poaching in the shoal. Some of the boats yielded endangered marine species such as corals, baby sharks and giant clams whose capture and possession are illegal under Philippine law and international conventions. “How was the standoff resolved? America brokered and there was an agreement for all parties to depart the shoal and finish (the standoff). There was this concept of ‘saving face’ by everybody.